Sarah is the Head of Finance at Harm Reduction International, bringing over 20 years of experience in finance and accounting. Sarah works across the organisation and oversees all areas of finance and administration, including: providing support and analysis to staff and the Board, project budgeting, forecasting, financial reporting, donor liaison, HR and payroll, accounts payable, accounts receivable, audit preparation, banking, bank reconciliations and cash flow analysis. In addition to this, Sarah manages Harm Reduction International’s regulatory compliance, supports governance processes, and plays a leading role in human resources, organisational development, and financial risk management. 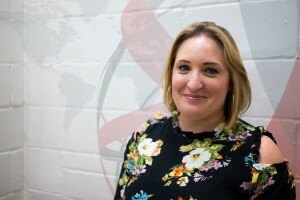 Prior to joining Harm Reduction International in 2013, Sarah worked in finance and accounting for Age UK, as well as other businesses and corporations.